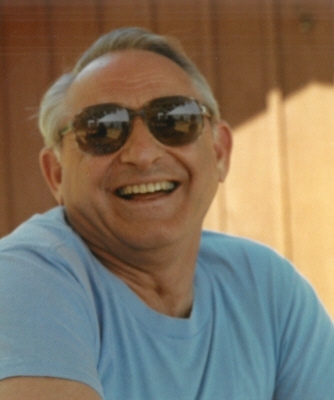 Ruben J. Pusch age 87, passed away peacefully at Zilber Family Hospice on Saturday, April 13, 2019. He was born in the Town of Rubicon to parents Edward and Ida (Ketelhut) Pusch. Ruben attended Saylesville and Hartford High School. He was united in marriage on October 15, 1966 at Peace Lutheran Church to Carol Frank. Ruben worked as a machinist at M-B-W-Inc in Slinger for 38 years. Ruben was a proud member of American Legion Courtney-Carr-Milner Post 19 and a life long member of Peace Lutheran Church. He enjoyed fishing, Friday Fish Frys with friends, traveling and spending time with his grandchildren. Ruben is survived by loving wife of 52 years, Carol; son, Gregory (Stephanie) and two grandchildren, Joshua and Rachel; sister, LaVerne (Richard) Zahnow; siblings-in-law, Delbert Ehlers, Mary Pusch, David (Karen) Frank and Janice (Donald) Radke. Also survived by nieces, nephews, other relatives and friends. Ruben is preceded in death by his parents; parents-in-law, Ervin and LaVerne Frank; five sisters, Eleonora (Arnold) Hundt, Leona (Ervin) Hundt, Ruth (Raymond) Schulz, Adeline (Norbert) Berndt and Violet (Delbert) Ehlers and four brothers, Willard, Waldemar “Wally” (Adeline), Melvin (Mary) and Edward Jr. Pusch; siblings-in-law, Marlis (Clarence) Hahn and Gerald Frank. 11:00 AM until time of service. Committal and military honors at Pleasant Hill Cemetery. In lieu of flowers, memorials are appreciated to Peace Lutheran Church or Zilber Family Hospice. The family would like to thank Zilber Hospice and Brenda Vogt for their care and support. Condolences can be found at, www.shimonfuneralhome.com. To send flowers or a remembrance gift to the family of Ruben John Pusch, please visit our Tribute Store. "Email Address" would like to share the life celebration of Ruben John Pusch. Click on the "link" to go to share a favorite memory or leave a condolence message for the family.